The Library Store has you sealed with a kiss this Valentine’s season! With gifts, cards, and all types of unique goodies for everyone on your kiss list–from the love of your life to the love of your week–stop by Central Library to check out The Library Store or browse the “For My Valentine” items online, including these lovely items below. And your Valentine will love to know that proceeds from their gift benefit the Los Angeles Public Library! For the love of your life, there are small things that can be given that say a lot about your love, and this little trinket dish is one of those things. 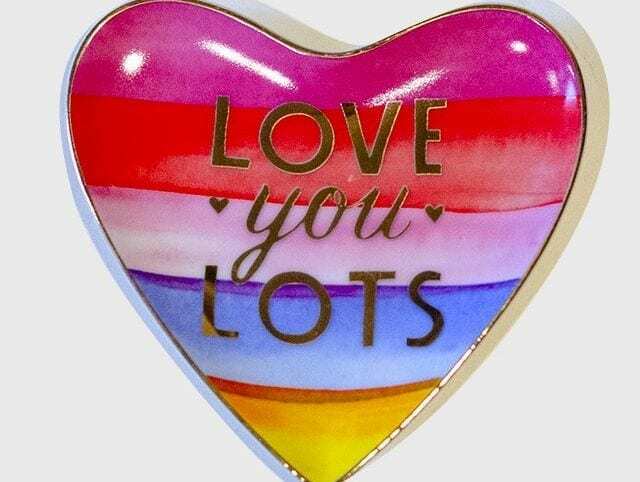 Ideal for holding small pieces of jewelry, such as rings and earrings, this little heart-shaped dish is painted in a lovely array of pinks, blue, and yellow, with a golden accented lip and words reading “Love you lots” across the plate. Give a little gift this Valentine’s Day that shows the lots of love you have to give! 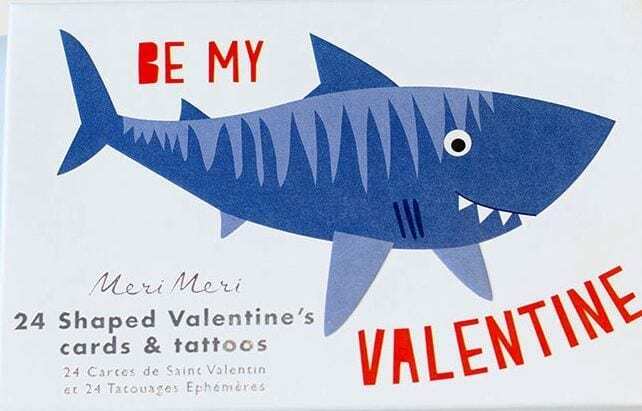 Celebrate Valentine’s Day with a smile using these jolly shark Valentine’s Day cards, plus temporary tattoo set! With 24 total die-cut cards, each shaped in the form of one of four different shark designs, and an equal amount of temporary tattoos, this box set of Valentine’s Day cards even includes matching envelopes in an ocean blue or sea-foam white! Each card is blank on the back, perfect for personalizing each Valentine’s Day message per recipient. For the love of the book lover in your life, this blank greeting card will let them know how much you’d come back for them. 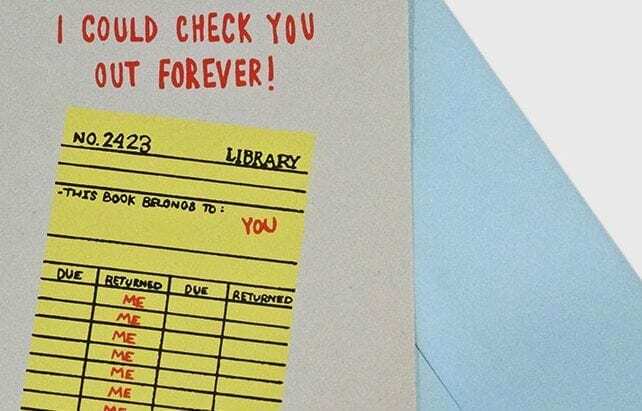 With an illustrated due date card printed on the cover, proudly proclaiming “I could check you out forever!,” this card is perfect for any occasion where it’s appropriate to proclaim your love. A complementary baby blue envelope is included. Celebrate your love for books with this sturdy, felt pennant. Decorate your favorite space with this pennant that features: sturdy felt construction, tie-anywhere tassels, and bold felt letters and bright red heart. 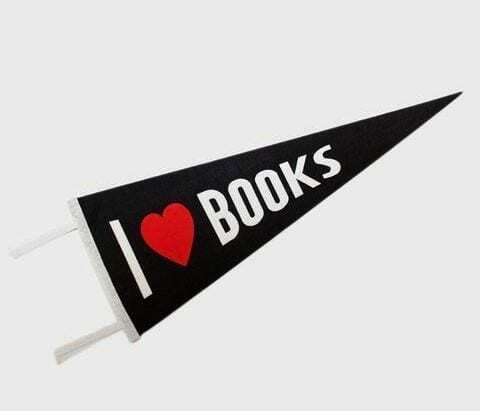 Decorate your favorite reading corner with this pennant and let the world know: You heart books! Shop The Library Store now!